As an introduction, can you please tell us about yourself, your background, and what lead you to create Mini Muslim Playground? My name is Allya I’m 31 years old and happily married and also have a gorgeous cat called Patchy. I have been running various businesses for the past 10 years. My main back ground is Digital Marketing and selling Home Wares online. Me and my husband set-up and successfully run a digital marketing agency and we are also setting up a new online homewares business. However my happiness comes from working on the Mini Muslim Playground. It has been an idea of mine for around two years but other things got in the way and the idea had to be put on hold. Then in 2016 my niece and nephew were born and it just gave me the motivation to really push this idea and make it a reality. Islam is very close to mine and my husband’s heart and it’s a beautiful religion, and we just wanted to do something that made learning about Islam fun for both parents and children. I always wanted to be my own boss ever since I was little. I’ve had jobs were I did the 9-5 but I was never happy and wanted more for myself. My parents were very supportive and encouraged my entrepreneurship. 15 years ago my dad had a stroke and seeing how he got himself better and how he came closer to Islam over the years inspired me to follow my heart. So I quit my job and took the plunge. I started my first business selling party favours, décor material, and other decorative pieces, the business was called Wedding Walkway. It was fun but it was also my first business. Soon after that I started my own homewares business where I learnt about digital marketing which I found really fun, I then went out and got a Google certification and started Pear Digital Marketing which is still going strong today Alhumdulillah. When I got married 2 years ago, my husband supported me and my crazy business ideas and he grew Pear Digital. Being an entrepreneur has its challenges but it is very rewarding especially when I see pictures of Muslim Children praying on the prayer mats I sent or reading books with their parents. It’s nice to see Islam entering into their hearts from such a young age. What is the overall aim of Mini Muslim Playground? What problem are you setting out to solve and how? I’m not setting out to solve any problems. I’m in fact hoping that through the Mini Muslim Playground I can supplement traditional methods of learning and teaching about Islam. When I was little I’d go to the madrassah and was told to learn the Quran, which I did but the imam never really explained the meaning or the reason behind a particular verse or Surah. I only started to learn the meanings recently, and looking back I wish I had the resources we have today so that I could appreciate our religion even more. 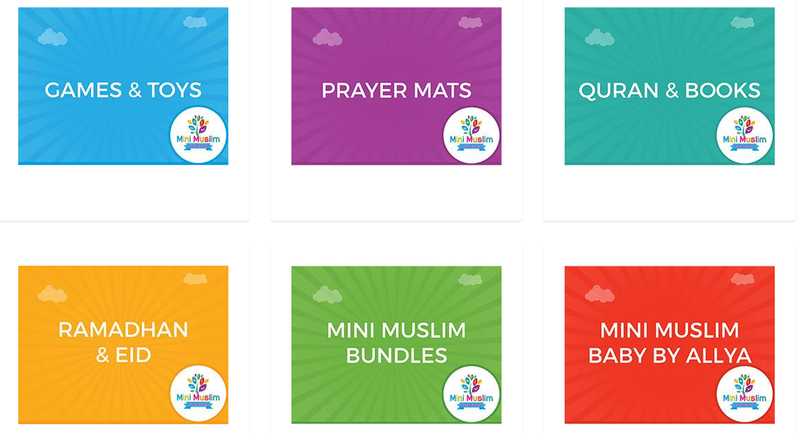 There are so many wonderful books, toys and games available today at the Mini Muslim Playground that teach about Islam in a fun and inspiring way that were not available when I was a kid. So in short the aim of the Mini Muslim Playground is to help parents teach their kids about Islam though fun, interactive means that really sparks the child’s curiosity about Islam and Insha Allah nurtures a love for Islam from a young age. Everything. LOL. From the branding, to the logo, to what products we wanted right down to what platform the website should be. But being digital marketers and website developers we managed to get it right and then came the hard task of getting stock. My husband has to keep me grounded as I have a million ideas and want to do all of them all at once. There is so much I want to achieve and do with the Mini Muslim Playground but can’t find enough hours in the day to do everything I want. I’m launching the first of my own product range in a month or so InshaAllah and that in itself is very challenging as a lot of energy has gone into it and I don’t know if it will work or not. All I can do is make dua and carry on. That’s a tricky one. Having run my own businesses before I know that setting up any business is hard, risky and comes with its own unique challenges. Some would say that they wish they had known how much effort is involved in running your own business or wish they did better market research etc. But hindsight is a beautiful thing and looking back the past month or so with Mini Muslim Playground I wouldn’t change a thing, and if there is one thing I would like to have known is how happy this business makes me so that I could have started it earlier. Being your own boss is a dream come true. I work to my own schedule, I create my own ideas and launch them I sometimes work from my home. There are challenges of running your own business such as making sure you’re doing everything properly from paying invoices, to making sure your finances are in order and so on, and there are times where I do get a bit scared and think ‘am I doing the right thing’? But Alhamdulialh I have my level headed husband who helps look after Mini Muslim Playground whilst running his own business and he constantly motivates me and challenges me when I have a down day. The most satisfying aspect of being your own boss is that no two days are the same. Your free to do whatever you want, when you want. Also seeing my customers leaving kind comments and posting their kids using our products on social media is a big boost to my confidence and always makes me really happy. 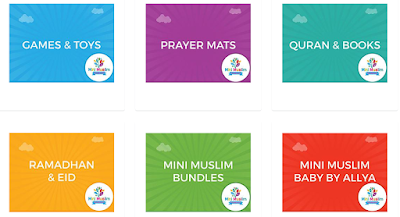 I hope to launch my own range of physical and digital products in the future and really make the Mini Muslim Playground the go to place for Islamic toys, books and games. A lot of people assume that you should grow your business into a global success and make millions (which is fine for some and work for some). My dreams for this business are humble and I don’t aim to become a global leader. As long as parents and kids want to learn about Islam, be inspired about Islam and have fun while doing it then the Mini Muslim Playground will always be around to help with that Insha Allah. Just do it. It’s scary, there is a lot of hard work involved, long hours and sometimes you will feel like giving up. But if you stick at it and pray to Allah for guidance you will succeed. Make sure you get your branding and product choices right. Research your competition but be different from them. Drive traffic through your social media because that’s where your customers are and get your website right. If you don’t know about websites or social media get someone to help you. I can’t stress enough how important this is. Be open to constructive criticism as what you may think is a brilliant idea your target market may not agree. Usually the first year is the hardest but once you get past that you be will on the way to success. Keep a level head and complete one task at a time.